The Montreal police arson squad is examining a fire that was deliberately set overnight in Cote des Neiges. 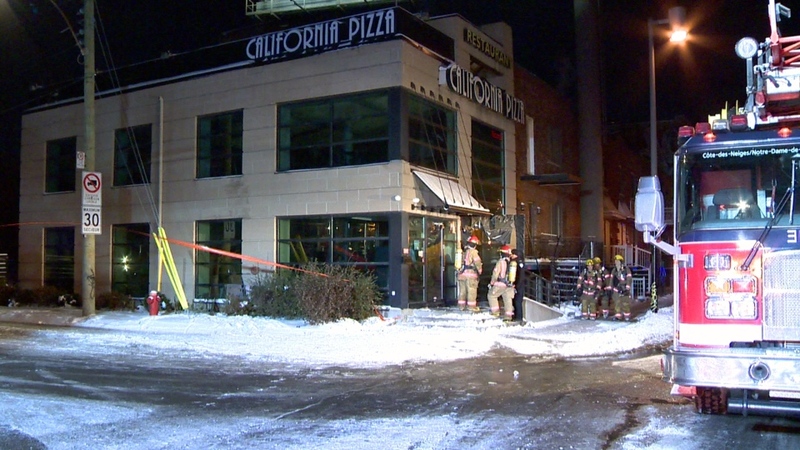 Someone called 9-1-1 at 1:45 a.m. Thursday to report that an arsonist had hurled a Molotov cocktail into the California Pizza restaurant on Decarie Blvd., near Garland Place. The perpetrator then ran off. Firefighters rushed to the building and the flames were quickly put out without causing any significant damage. Nobody was hurt. Police will examine surveillance video in an attempt to identify the suspect.